150mm diameter wheel bench grinders are designed for general grinding work, such as cleaning burrs, sanding and rough grinding. 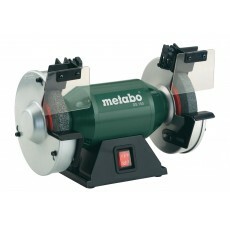 Generally, 150mm bench grinders are more powerful than the 125mm version, making them more capable machines overall. That said, individuals who work with smaller and softer materials in situations where precision is important, may benefit from the smaller 125mm sized bench grinder instead.